I am slowly becoming a bit of an urban decay fanatic and just seems to me that everything they bring out is amazing, I constantly hear such great things from bloggers, friends and makeup artists so whenever I see an urban decay bargain I jump at the chance. Cosmetics fairy is a website that I came across recently that stocks lot of great brands at great prices. Their mission is to bring great brands that we love without the huge costs, sign me up I say! 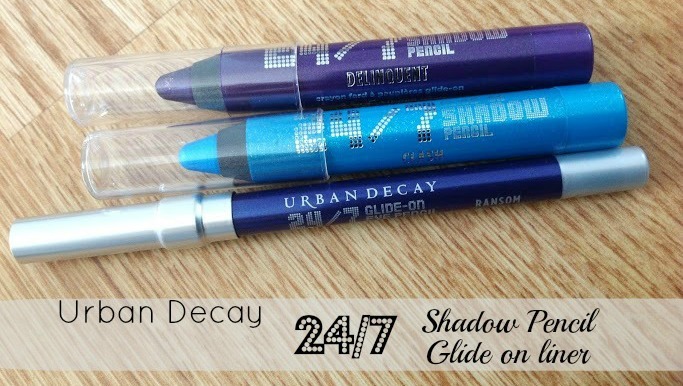 When I spotted some of the 24/7 range I literally jumped out my chair, especially for the price £3.75 for the eye pencils and £4.99 for the liner. I picked up 2 eye pencils in delinquent and clash and an eyeliner in ransom. All 3 of these are so buttery, creamy and highly pigmented. Delinquent is a gorgeous deep purple with big chunks of silver and purple glitter. 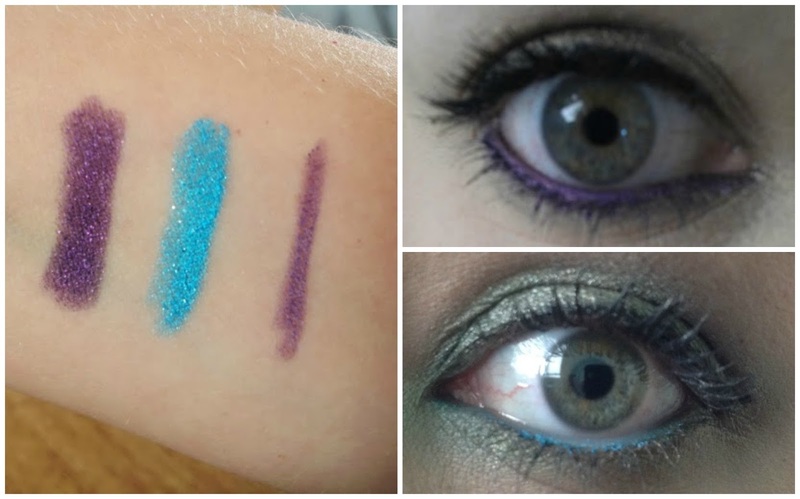 Clash is the most vibrant turquoise/blue with a little silver glitter running through it, don’t think you would find a brighter blue and even though this is an eye shadow it can easily be used as an eyeliner also. 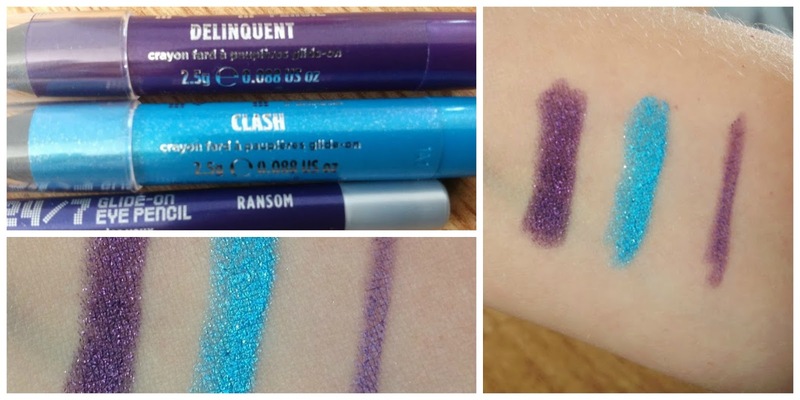 Ransom is a deeper purple with less shimmer running through than delinquent but as you can see the pencil is a lot thinner than the shadow sticks so on the swatch it doesn't look as pigmented but it is, and being an eyeliner it doesn't drag at all on your eyes. These are 2.5g and do look smaller than when I swatched them in store before I purchased from cosmetics fairy and I know they are smaller than the standard sizes but can’t find the size online at all. As promised being 24/7 these do last a long time, the longest I've wore is about 8 hours and these just didn't budge. Hope to pick up more soon!